I am guilty of cucumber neglect. Ari and I recently stayed for Shabbat in a friend’s apartment while she was away, and we brought a few of the many cucumbers we’d received in that week’s CSA delivery. A couple became crudités with hummus for Shabbat, but one remained. Not wanting to increase our cucumber surplus, we “gifted” that last one to our friend and her roommates by leaving it in their refrigerator…but we forgot to tell anyone we’d done that. When the apartment’s occupants returned, they each assumed the cucumber belonged to someone else. It sat untouched and started to rot. Not long after, another intriguing vegetable took root in my mind. I found it on page 144 of Paradise Now: The Story of American Utopianism, by Chris Jennings. I’ve been reading this history mostly before bed, so most details evaporated in that space between wakefulness and sleep. But this particular vegetable stayed with me: the cabbages of ambiguous ownership. Cabbages of the Stop and Shop variety. The cabbages appear toward the end of Jennings’ chapter on New Harmony, the 19th-century utopian community established by Robert Owen in Indiana (on the site of another bygone utopian effort called, aptly, Harmony). By now, Jennings has described how Owen, a secular Shabbatai Zvi of sorts, attempted to establish a model communitarian society, one which he hoped would inspire a radical reorganization of economic and social life around the world. In New Harmony, all property was held communally, intellectual growth was prized, and members engaged in all the manual labor necessary for a self-sufficient agrarian life. New Harmony does not exist today; as has been a common pattern for utopian endeavors, enthusiasm waned and infighting splintered the group. Eventually, the community broke into factions, each in charge of different aspects of life, and a trading system developed amongst the groups. The very things New Harmony aimed at eliminating (individualism and competition), became the community’s undoing. Additionally, Owen, for all his vociferous advocacy of communal ownership, refused to surrender to the commune the personal fortune with which he bankrolled New Harmony’s founding. Radical communards objected on principle. I object to his apparent lack of irony. Thus the village dissolved and people carted off the movable property, and as a result, “Cabbages of ambiguous ownership were left to rot in their furrows” (p. 144). How sad for the cabbages! Because the New Harmonites failed to navigate the interplay between individualism and communitarianism, the cabbages had to suffer. As teshuvah for neglecting the aforementioned cucumber, I want to reclaim New Harmony’s forsaken cabbages—not as vegetable, but as symbol. Let them be more than collateral in the dissolution of one particular utopian community; let them stand in for anything harmed because no one accepts responsibility for its care or gathers it for enjoyment. What other perfectly good things miss their chance at life while the world crumbles around them? And how do we avoid creating such cabbages? Next to the vending machines and above the microwaves in the Teller Lounge of HUC-JIR Cincinnati, there is a certain countertop where you can leave food you wanted someone else to eat. Have leftover cookies and a veggie tray from yesterday’s lunch and learn? Leave them on the counter. Made too many brownies for Shabbat dinner? Leave them on the counter. Want to clean your house of chametz-laden snacks before Passover? Leave them on the counter, and they’ll inevitably be gone by the end of the day. Graduate students are not ones to turn away from free food. That system works because everyone knows that food left on that counter is free for the taking. By putting an item there, one renounces ownership of it. This is essentially a prearranged version of the process for declaring something to be hefker, ownerless property, as laid out in the Talmud: to renounce ownership of one’s possession, one must declare it ownerless in the presence of at least three other adults (Nedarim 45a). From this particular discussion in the Talmud, however, it is not clear that hefker created by renunciation of ownership is meant to be a permanent status. 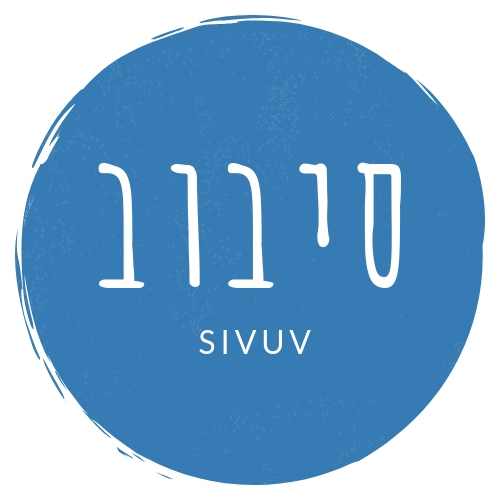 Rabbi Yehoshua ben Levi asks, “Why must the declaration be made before three people, when the Torah says just one will suffice?” Because one will take possession of the item and two will witness the exchange, answers the Talmud (ibid.). In other words, hefker is merely a momentary, liminal status occupied by an item as it passes between two legitimate owners. In order to renounce ownership of something, we must assemble the conditions for it to be reclaimed immediately. And should we be party to any apparently ownerless item, we have at least some responsibility for what happens to it. There are to be no cabbages of ambiguous ownership. I don’t have any grand conclusions to draw from these musings, other than connecting a rotten cucumber, some 19th-century cabbages, and a piece of Jewish legal jargon with one another. Perhaps it’s an invitation to notice those things around us that are in need of being cared for; perhaps it’s an encouragement not to waste so much. This week, I’m happy to share that we’ve successfully used all the cucumbers we received in the CSA delivery. Two went to friends, and the rest are now a lovely salad with feta and CSA parsley. The picnic-friendly salad Ari made. It was delicious.